Chinese New Year is approaching, have you bought your new clothes? I have always wanted to buy the cut out and bodycon dresses but whenever I try them out I feel so sad and ugly because my flappy hands and tummy are so obvious OMG! I ended up putting them back to the rack at the boutique sob sob. 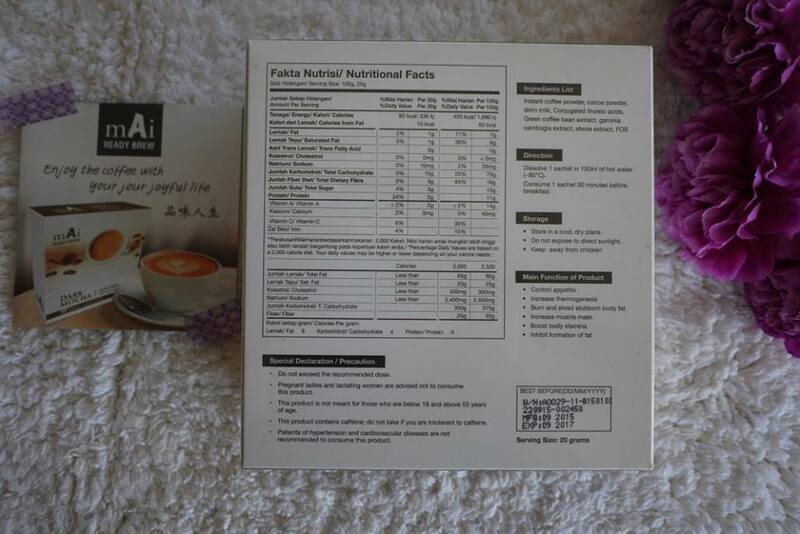 Lucky my friend has introduced me a slimming coffee recently, that has solved my obesity problems. 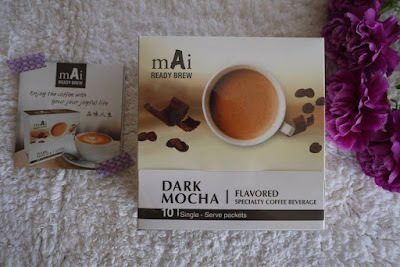 mAi READY BREW Dark Mocha Slimming Coffee is a delicious specialty coffee beverage. 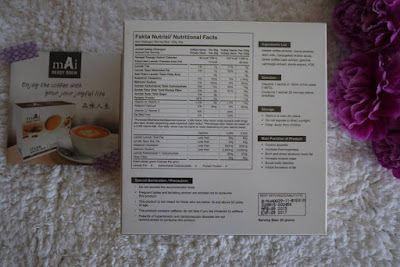 Not only it is tasty and easy to consume, most importantly, it does not cause me stomachache or diarrhea at all. 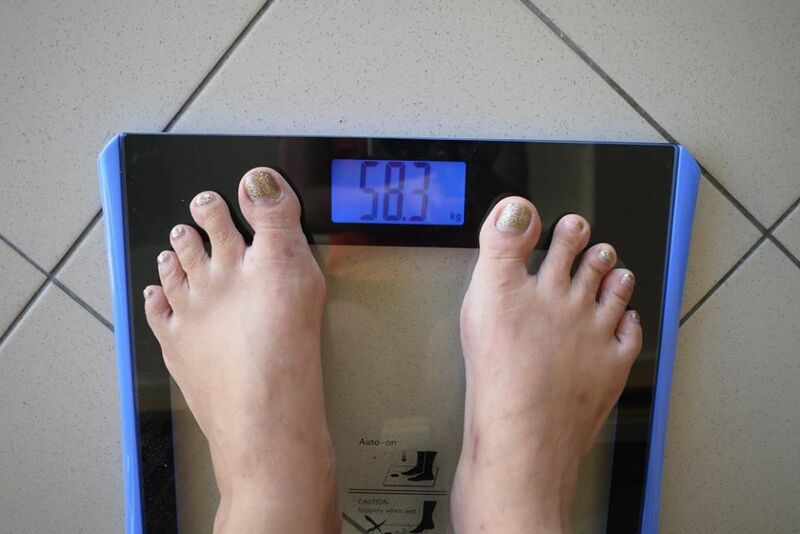 I had slim down in a comfort way, yay! How to drink mAi READY BREW Dark Mocha Slimming Coffee? Dissolve 1 sachet in 150ml of hot water (80 degree Celsius). 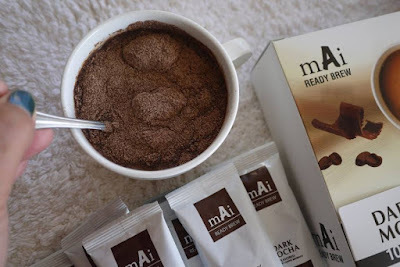 Consume 1 sachet 30 minutes before breakfast everyday. 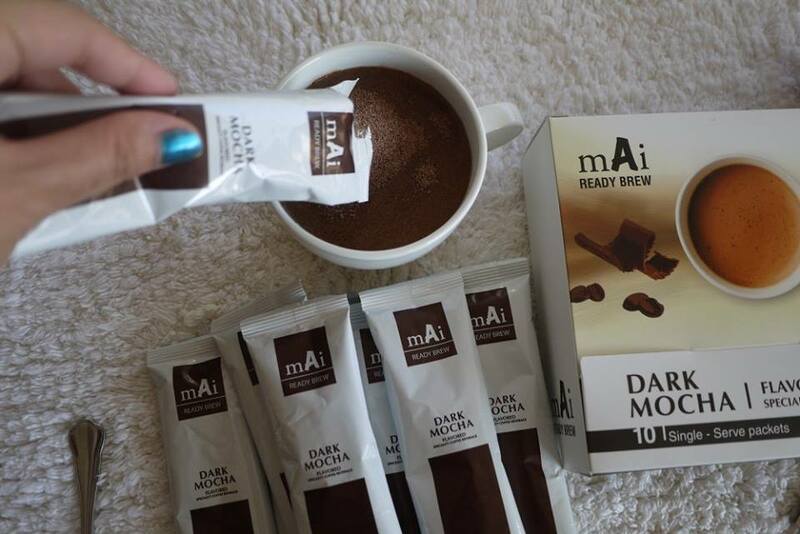 mAi READY BREW Dark Mocha Slimming Coffee has the main functions of Control appetite, increase thermogenesis, burn and shred stubborn body fat, increase muscle mass, boost body stamina, inhibit formation of fat. 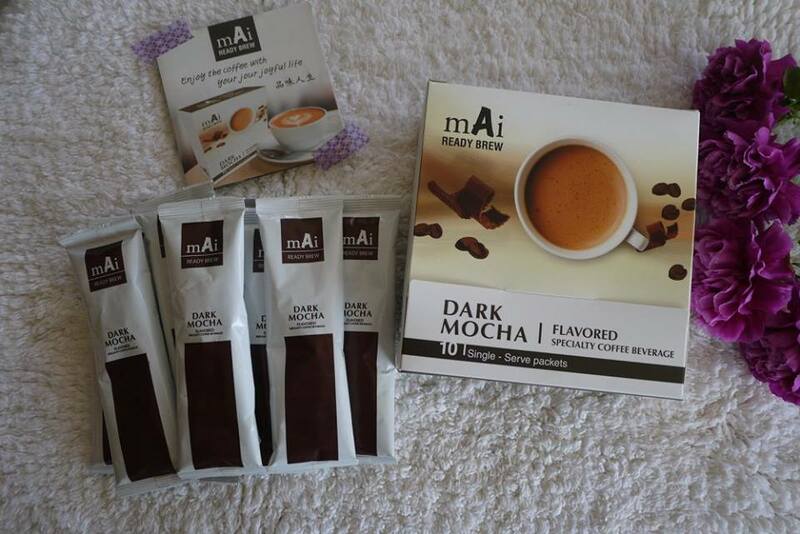 It contains main Ingredients like Instant coffee powder, cocoa powder, skim milk, conjugated linoleic acids, green coffee bean extract, garcinia cambogia extract, stevia extract, FOS. It is advise to drink more water while consuming the drink. Try to sleep early (by 10PM) to avoid sudden cravings at late night. In fact, a pack of mAi READY BREW Dark Mocha Slimming Coffee each day is all I need. I normally take it as my breakfast in the morning. It gives me the energy I needed and I do not feel hungry for the rest of the day. I have eaten lesser in the following meals and hence my weight has reduced by 1.4 KG in just a week! Bear in mind I didn’t even work out much during the period, all I did was just keeping the normal daily routine: go to work, have mAi READY BREW Dark Mocha Slimming Coffee as breakfast, go out for lunch during lunch break, and have dinner after work. It is quite amazing to me because I lost weight without any notice coz I did not encounter any discomfort or diarrhea at all. It’s an easy and safe way to lose weight. Now I can wear those pretty dresses and flaunt for this Lunar New Year, yay! 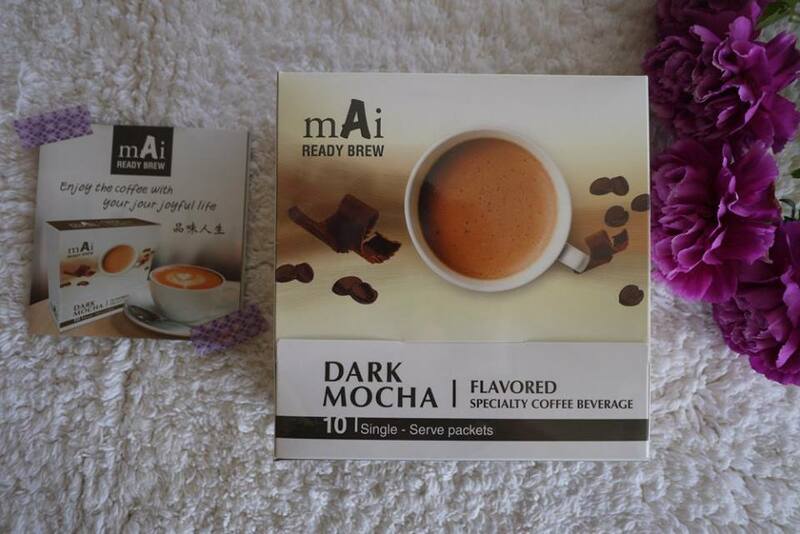 A box of mAi READY BREW Dark Mocha Slimming Coffee contains 10 sachets of 20 grams each. It is selling at RM 86 per box and is available at Mai canteen. I wanna slim down too. wow it really works so well? i need to drink this too! 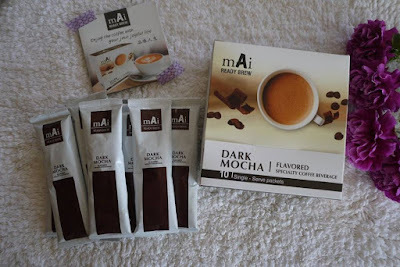 Drink coffee pun can slim down.. Nice nice! 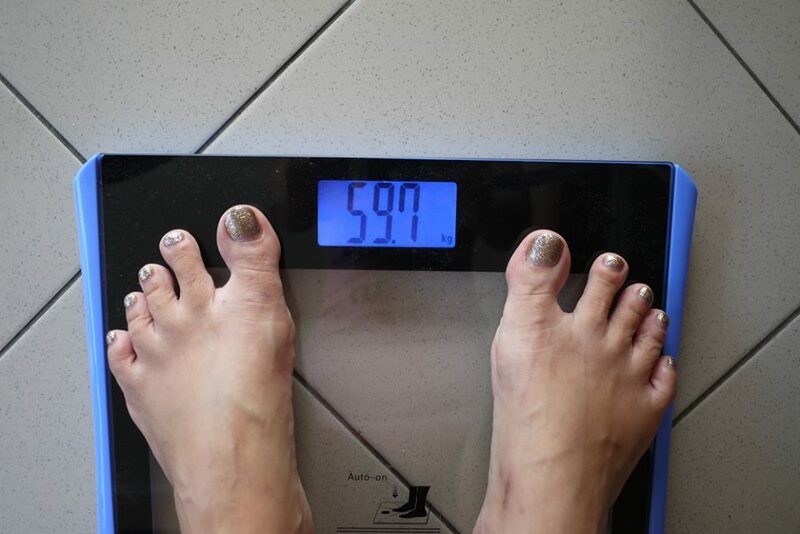 Really can help out to reduce weight. I want to try it out too so that I can wear cheong sam during CNY. 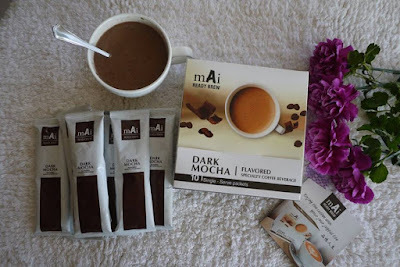 Heard of this coffee before but have not try it yet, looks like it works for you.